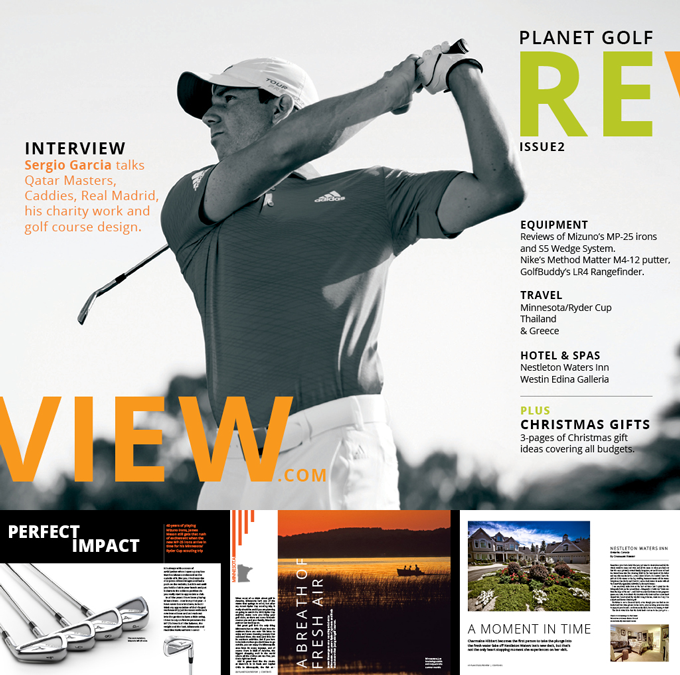 Download for FREE the 2nd issue of planetgolfreivew’s digital magazine. We have an exclusive interview with Sergio Garcia, who reveals that he would have swapped his golf career to play football for Real Madrid. Christmas is fast approaching and with that in mind we have 3-pages of Christmas gift ideas covering all budgets. The 2016 Ryder Cup is fast approaching and we review eight golf courses for you to play in the host state of Minnesota, while Charmaine checks out where you can stay. We also feature Thailand, which is becoming a big golf destination. For those of you who want to get away from playing golf, there is Larry Berle’s feature on his unique trek around Greece in a caravan of jeeps and Charmaine goes freshwater swimming at a beautiful hotel in Ontario, Canada. To cap all of that off we have the latest equipment reviews from Mizuno, Nike, FootJoy and GolfBuddy. We hope you enjoy it as much as we have enjoyed putting it all together for you.